Most famous people long in the tooth, if they are not dead, quietly retired, or resting on their well-earned laurels, tend to keep a very low profile. You rarely even hear about them. 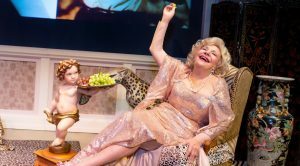 But not the indefatigable 85-year- old Renée Taylor, an Energizer bunny whose funny and bittersweet autobiographical one-woman-show, My Life On A Diet, is currently playing to full houses at St Clement’s Theatre in New York City. Yes, Taylor’s ‘Diet’ is the talk of the town. She’s popular with those who are carrying around a few extra pounds – and who isn’t? 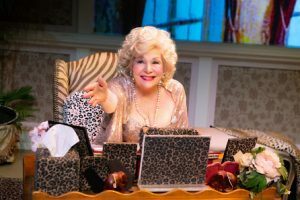 – and those who are still laughing at her six-year sitcom stint (1993-1999) as Fran Drescher’s mother on “The Nanny.” Taylor’s laugh-ridden show, co-written with her late husband Joseph Bologna, has been extended through September 2. This is something of a comeback for Taylor, who recently moved here from Beverly Hills. Given the immense interest of the press, just about everybody everywhere has featured an interview with the straight-shooting, delightfully candid, and undeniably entertaining, actress. With all this publicity, I wouldn’t be surprised if another extension is lurking somewhere around the corner. 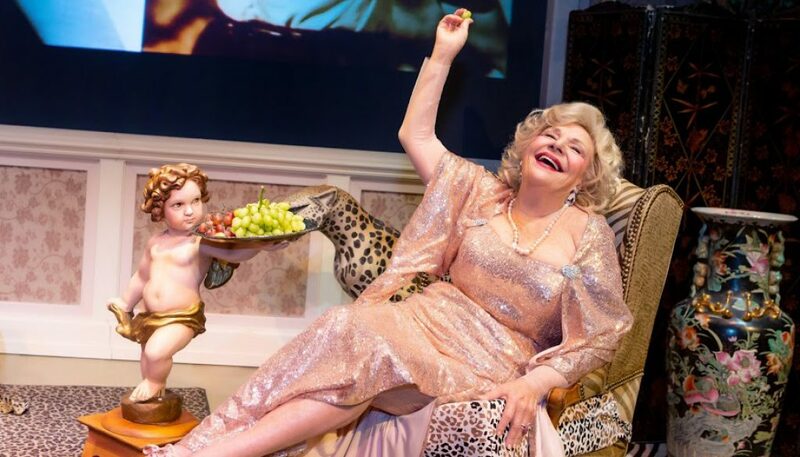 Thanks to the uncanny genius of set designer Harry Feiner, My Life On A Diet opens with a spot-on, garishly designed leopard skin decorated set complete with a sculpted golden desk and an ornate royal chair. This instantly signals to the audience, even before the jewelry-bedecked Queen Taylor sails onto the stage, that we are about to be treated to a highly designed outsized theatrical experience. Echoing his genius is costume designer Pol’ Atteu who, going for glamour and glitter, clothed Taylor in a cleavage-showing filigree cocktail dress of incandescent shades of eye-popping pinks and creams. 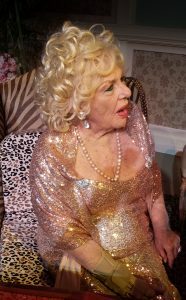 This not only matches the bravura of the set, but brings to mind the late, great Mae West, who Taylor highly resembles. None of this is coincidental, because Taylor informs us later on that she is, indeed, writing a three-character play about Mae West. Well-known for her mimicry skills, there is little doubt that Taylor will be taking on the Mae West role. 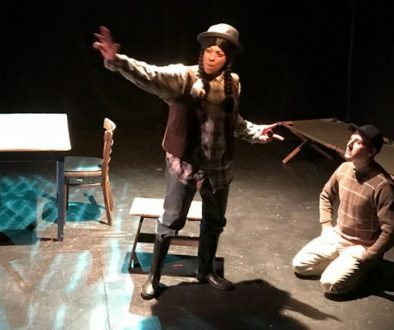 Putting the idea of food into our minds, the Bronx-born Taylor starts her show from off stage as she is heard reciting the beginning lyrics of the novelty song Frim Fram Sauce made famous by Nat King Cole during the early Forties. Following these food-tempting lyrics, Taylor, dressed to the nines, and entering to applause, introduces herself specifically to those in the audience who “just in case you don’t know me cause somebody dragged you to see a show about diets.” On the heels of this tongue-in-cheek introduction, we see photos of Taylor taken in her 20s, 30s and right through to her 70s that flash across a large screen placed at the back of the stage. As to Taylor in her 80s, with a glint in her eye and pointing to herself, she exclaims “This is me today.” Of course, this brings another round of applause. What I found most strange, though, was Taylor does admit to having gotten very fat since she was eating food off of everybody’s plate during her “Nanny” days. God, she was quite the looker, but in every one of these photos of Taylor through the years, nowhere is there a trace of any fat. Not a bulge or a fat roll is to be seen. Of course, one’s bodily self-image does not always coincide with reality. With this Taylor, walks to her desk and lowers herself onto her royal chair and barely consulting the script in front of her begins to deliver her sit-down/stand-up routine. She is accompanied by flashing photos, video clips from her various movies and TV appearances, and intimate stories of her relationships with her mother Frieda (whose hilarious shenanigans get the most laughs of the evening) and Bologna, to whom she was married to for 53 years. 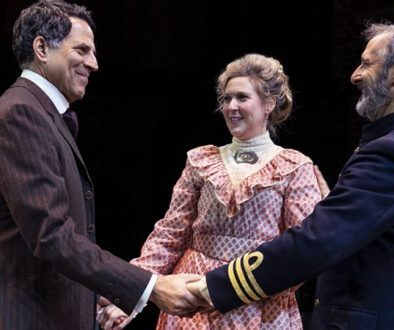 The pair worked together both as writers or actors – sometimes both – in 22 Broadway plays, countless movies and a great many TV shows and specials. Other than her late husband, to whom she says she “still talks to every day, and he talks to me,” her most deeply affecting heartfelt stories center around her friendship with Marilyn Monroe, the ever-iconic actress whose life we never tire of hearing. Not one to rest on her decades of showbiz credits, Taylor is up to her eyeballs in current and future work. 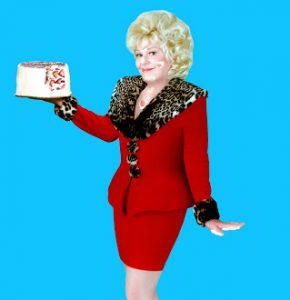 Besides working on her Mae West show, which no doubt will be a “must see” hit, she is also working on a play about Bologna, cleverly titled A Cup of Joe. Obviously, with a 53-year marriage to the love of her life, she has a lot to say. Also in the works, or in the can – I am not sure which – is her writer-director son Gabriel Bologna’s movie “Tango Shalom” in which she has a part. Like I said earlier, Taylor is an indefatigable Energizer bunny. So stay tuned, as a lot more Taylor is on the way. My Life On A Diet, opened on July 25, 2018 at St. Clements Theatre, 423 West 46th Street, in New York. It is slated to close on September 2. 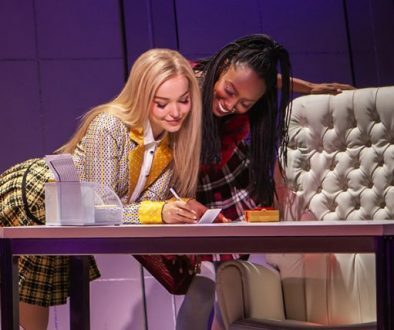 (Previews began on July 12, 2018). The show runs one hour and 35 minutes with no intermission. Tickets are available by phone at 212- 239-6200. Written by Renée Taylor and Joseph Bologna. Directed by Joseph Bologna. 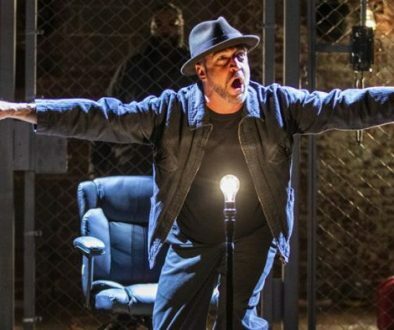 Technical designs: Scenic Designer: Harry Feiner; Costume Designer: Pol’ Atteu; Lighting Director: Stefanie Risk; Sound Engineer: Jay Risk; Projection Designer: Michael Redman.